Chrono Trigger is rightly remembered for being one of the best games to ever grace the Super Nintendo Entertainment System. Even now, players around the world come back to it over and over again – no doubt partly thanks to both the recent Nintendo DS and iOS ports. But if there’s one element of Chrono Trigger that’s truly timeless, it’s the astonishing soundtrack that accompanied its rich and fulfilling gameplay upon release in 1995. The history behind the creation of Chrono Trigger’s soundtrack is fascinating. The majority of the game was composed by Yasunori Mitsuda, who in the early nineties found himself primarily doing sound design work for Square. Concerned about the progress of both his career and salary, Mitsuda made the rather bold move of threatening to leave the company if he couldn’t compose music. As risky as it may have been, this actually turned out to be one of the best decisions that Mitsuda has ever made; he was assigned to compose the soundtrack for Chrono Trigger by Final Fantasy creator Hironobu Sakaguchi, and what followed shortly thereafter was nothing less than a masterpiece. Mitsuda knew that it was his chance to shine, and as a result he worked tirelessly on the soundtrack. He was so determined that he would frequently sleep in his office so that he could work late into the night. Funnily enough, this ended up being one of the most significant factors in influencing his work; vivid and inspiring dreams informed his musical approach, and you can rest assured that whatever type of cheese Mitsuda was eating before going to sleep each night, it was clearly of the most impeccable quality. The end result was sublime, and not just for a Super NES game either; in fact, the music arguably became bigger than the game itself, spawning the popular album Chrono Trigger Original Sound Version and other rearranged orchestral and acid jazz works, although the latter did receive rather mixed reviews. Of course, trying to reproduce a seminal piece of work in a new and worthwhile way has its challenges; how can you remain faithful to the original vision while also trying to leave your own impression on it? Thankfully, this wasn’t an issue for renowned video game composer and orchestrator Blake Robinson, who has an impressive history of pumping new life into numerous classic video game soundtracks. 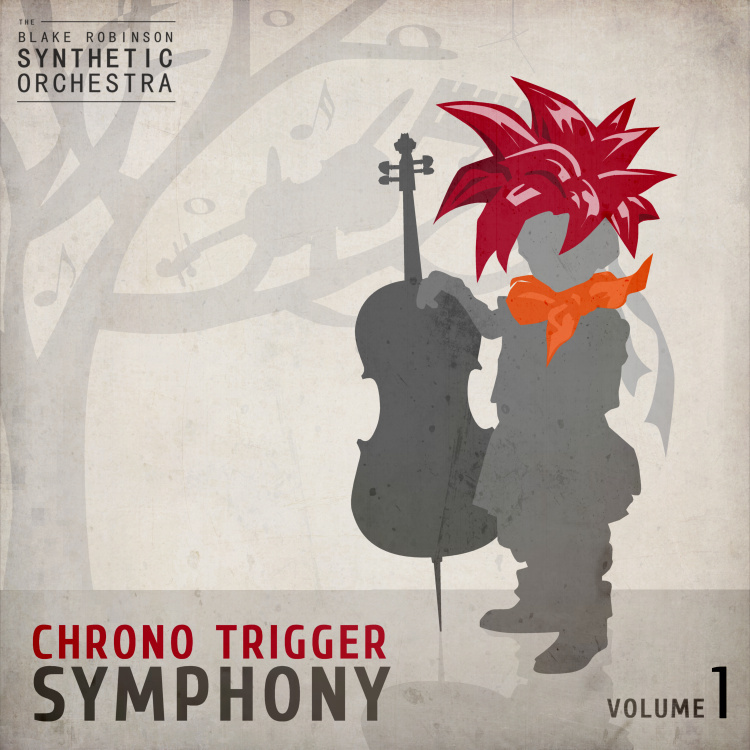 His latest album, Chrono Trigger Symphony: Volume 1 successfully captures the delicate, dreamy wonder of Mitsuda’s original work, while also enhancing it with an epic, booming orchestral sound. We dare say that it’s better than Square Enix’s own orchestral effort, Chrono Trigger Orchestra Extra Soundtrack, which released as a pre-order bonus for the Nintendo DS back in 2008. It remains truly faithful to the source material, with each track invoking a dizzying amount of nostalgia upon each listen. Chrono Trigger Symphony: Volume 1 features the same twenty-three tracks as the first disc of Chrono Trigger Original Sound Version, including the same play order. For those that haven’t had the chance to listen to the latter, this means that the album contains tracks from the earlier parts of the game, namely the beginning and the 600 A.D. chapter. It opens up with “Premonition”, the same track that is first played upon booting up the game. From the moment you hear that ominous ticking of the clock in the background, you immediately know you’re in for an authentic experience. This soundtrack succeeds mainly because Robinson has managed to capture the intricacies of the original music. Prominence is always given to the core melody in each song, and the wider orchestral backing never encroaches on this. For example, the track “Yearnings of the Wind”, which acts as the overworld map music during the 600 A.D. segment of the game, is still just as delicate as it originally was, musically symbolising your first, wary in-game steps into the past. “Morning Glow” — the track that plays as you’re just about to set off on your quest — is still light and dreamy, making it truly representative of Mitsuda’s intended approach to the game’s overall feel. 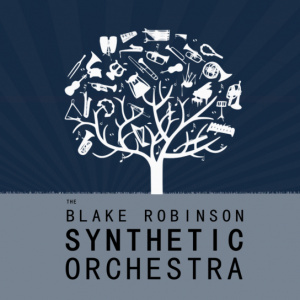 When it comes to some of Chrono Trigger's more upbeat and powerful tracks, Blake also doesn’t fail to deliver. “Guardia’s Millennial Fair” – which is on par with The Legend of Zelda: Majora’s Mask’s “Clock Town” theme in terms of sheer catchiness – injects even more life into the celebratory atmosphere created by the original, with claps and chants successfully adding a more human element. When it comes to “Gato’s Song”, Robinson has been wise to not get too carried away; it would have been all too tempting to shoehorn in the game’s own written lyrics, but this album gives it to you in the way it was intended to be heard, albeit with added orchestral flair. The same can most certainly be said for “Guardia Castle – Pride and Glory”, which comes complete with horns belting out a most regal tune. If you’re a massive fan of Chrono Trigger, then your enjoyment of this album only really hinges on one thing, and that’s whether or not you like synthetically orchestrated music. Robinson has certainly taken the right approach with these rearrangements, choosing instrument sets that not only suit the original style of music, but also that of the in-game settings themselves. It’s impressively faithful to the original harmonies, but with added gusto to instill even more emotion into the music. We really can’t recommend Chrono Trigger Symphony: Volume 1 enough; there’s not a single sound out of place, so much so that this would be perfectly suited to a potential future remake – and on that note, let’s just hope that Square Enix is listening, too. A review copy was supplied by Blake Robinson. If you want to know more about his work then check out our interview; the album is out now and available on Loudr and iTunes. I don't think the soundtrack is as memorable as FF6. (Can only remember the title music off the top of my head). kool, I have the original soundtrack of the game... definitely give this a listen. This game... Just played it a couple years back without the nostalgia factor, and it still blew mu expectations away. I love it, hearing this as soon as I can. @3DSAllDay Ever since I realised that it was due to a bad translation that was even called the Masamune it lost something for. (The Masamune and Murasame are katanas (Holy and Evil respectively)). Frog's sword is a broadsword. It is is good when he cuts the mountain in half with it though. Oh, Chrono Trigger is still enjoyed. DS ports ftw.